Dakota Cross Stitch Co Case I.H. 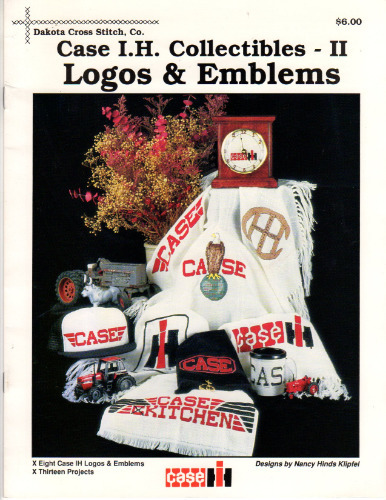 Collectibles II Logos and Emblems Cross Stitch Pattern booklet. Nancy Hinds Klipfel. 1941 IH Logo, 1913 Model T Logo, 1918 Case Logo, Case Kitchen, Eagle Emblem, Current Case IH Logo, 1920 International Titan Logo, Model La Logo, Current Case IH Logo, Clock Current Case IH Logo, alphabet for personalization. This booklet appears new and unused.